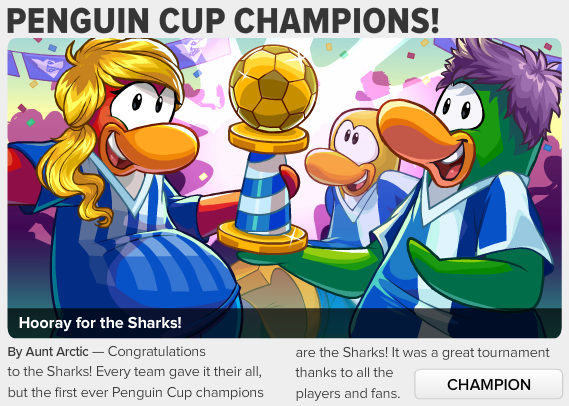 The Penguin Cup is over and the winners have been announced (we all know who it is before reading the newspaper). Now it's time to move on to a different party. The Music Jam for July! Aunt Arctic continues typing and let's us know that the trophies will be displayed in the Pizza Parlor. 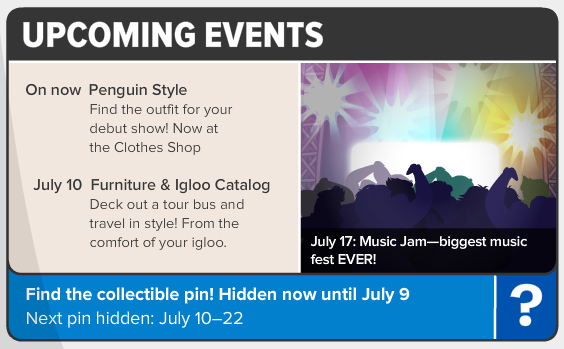 Apparently, they're celebrating at the Pizza Parlor by bringing their blue puffles along. Interesting. As you penguins may know, the new SoundStudio will be released soon. 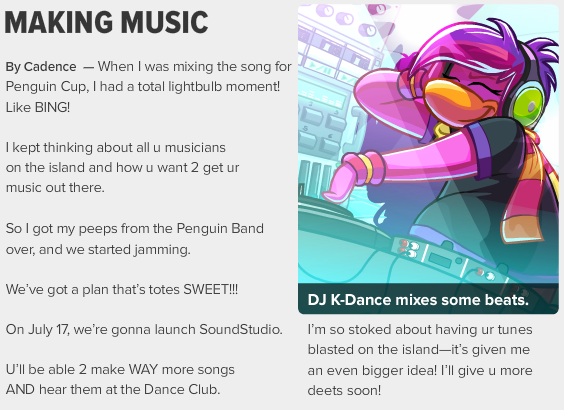 SoundStudio will be a new game that will replace the DJ3K at the Dance Club. Cadence talks more about how she got the idea to create this new game.